I’ve been thinking about this for a while and finally today I just went ahead and did it. I deleted the Facebook app from my phone. There are many reasons why I did this although in an effort of time I will not numerically highlight them all I will just generalize. Side note: I am not sure if I am totally deactivating my account or if I’m just removing it from my phone. We will see how it goes. Most importantly as well which has influenced my decision to go on a Facebook hiatus is quite honestly, my political affiliations, or what I had for breakfast, or where I went on vacation, or where I buy my coffee, or if I am for or against gay marriage, or what holidays I celebrate, or what statuses I like or don’t like on social issues/news of local and global proportion is none of your damn business. It’s gotten to the point that I don’t even “like” any status updates I read anymore or comment on any news articles of status updates to avoid the drama that is Facebook. So I just read through my newsfeed like a ghost in the background. Since I’ve noticed this about my Facebook use, I began to think, well then what the heck am I even doing on here in the first place then? That’s really all Facebook has become and if I’m not getting enjoyment out of it then why waste so much time on it? Facebook in my opinion has given everyone this egocentric attitude where people feel compelled to share their beliefs, their interpretation of news and social issues, and in some cases too much of their darn personal business online. If I saw as much action in real life as I’ve seen bullying or complaining on Facebook then a lot of these social or political issues we all disagree on would be addressed in a more productive manner. If you think I’m crazy I encourage you to read the comments section of any article you “like” or “share” on Facebook. I encourage you to pay attention to the utter crap that fills up your News Feed every time you log in or open that app on your phone. It’s become exhausting, irritating, and my head hurts from the amount of eye rolls I do in any given day at the moronic stuff I see. Lastly, I have noticed how much time each night I waste on Facebook. Especially considering how much I’m clearly not getting out of it at this point and time. Wouldn’t that wasted time be so much better useful in other areas of my life? I certainly think so. I can think of at least five other things I could be or should be doing that is more productive and fulfilling. So I’m done with this for a little while. 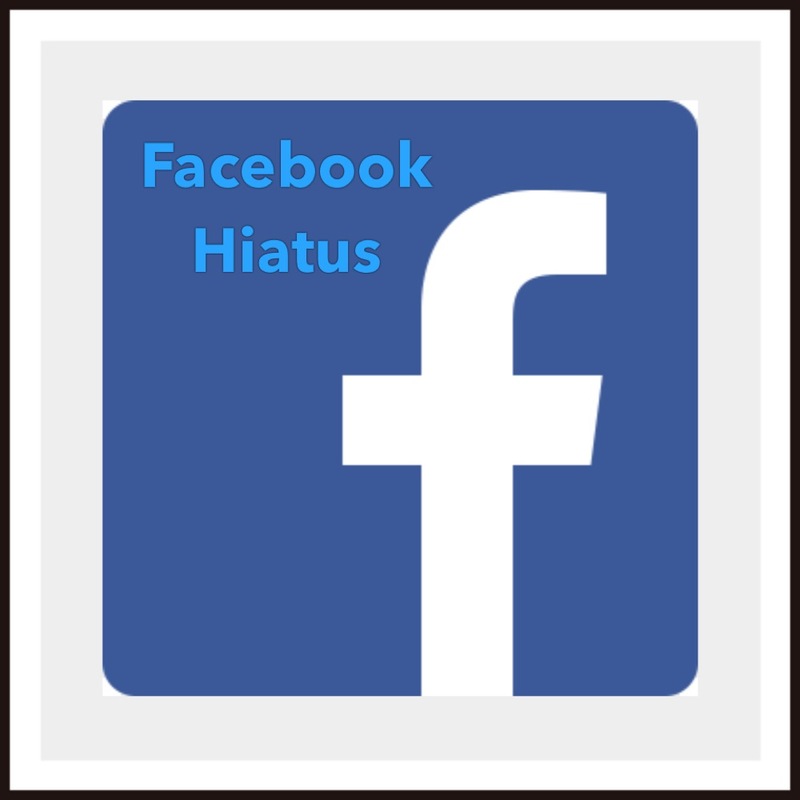 If you know me in real life and are active in my life then my Facebook hiatus should not affect you. If you care to know what I’m doing or what I’m up to or want to stay connected then follow me on Instagram or follow my blog as I will be posting more often going forward. This is where you can catch up with what is going on in my life if you care. I may be updating my CrazyJessCoupons & CrazyJessCreations pages as I craft/coupon here and there but seriously lately that has been pretty infrequent due to life being so hectic so we will just wait and see. Once again, I sincerly apologize if you are offended by my reasoning behind taking a break from Facebook but it’s just how I feel. It’s my opinion, and we are all entitled to have opinions, even if we don’t always agree with each other.